Many people often use computers at work, and eye strain has become a common complaint in the modern life. Eye strain and other visual symptoms can range from physical fatigue, increased numbers of errors at work, lower productivity to minor discomforts like red eyes and eye twitching. 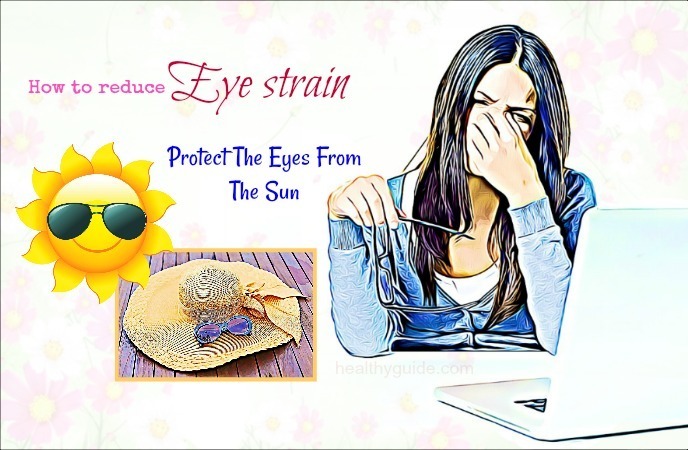 Now, if you want to know how to get rid of eye strain naturally and effectively, keep your eyes on this article. Nowadays, many people suffer from tired and strained eyes after using computer and digital devices throughout the day. If you often work with your computer and then feel that your eyes become strained and dry, this article is good for you. Read on it and then try to apply one or more of these following tips for good. Working long hours with your computer could be fun, but this could cause eye strain, wet eyes, headache and other computer vision syndrome symptoms. According to a report, about 64- 90% of the office workers suffer from eye strain. List of 27 Tips On How To Get Rid Of Eye Puffiness In The Morning will show you some of the natural treatments for eye puffiness in the morning, so check it out! This is the first important way on how to reduce eye strain that I want to mention in this article and then hope that all of my readers can apply for good. Doing a comprehensive eye exam can help you prevent or treat computer eye strain. According to a study, computer users should have at least an eye exam once a year.During your eye exam, tell your doctor how many hours you use a computer every day, how often you use it and the distance between your eyes and the screens. And then, your doctor can test your eyescorrectly. Glare on bright walls and reflections on the computer screen can result in eye strain. Therefore, you should consider having an anti-glare screen on the monitor and paintingthe white walls a darker shade if required. In case you wear glasses, opt for lenses with anti-reflective coating in order to reduce glare. Read on 18 Ways On How To Get Rid Of Dry Eyes Fast And Naturally to discover some of the best tips that can help you get rid of dry eyes naturally and fast. Brightness: Adjust the display’s brightness so that it is the same as the brightness of your surrounding areas. Text size and contrast: Adjust the text size and contrast of the display so that you can feel comfortable when using, especially when reading long documents. According to an expert, the text size should be 3 times the smallest text size you can read. The best color combination is a white background with black texts. Color temperature: Reduce the color temperature of the display and reduce the amount of blue light emission for long-term viewing comfort. 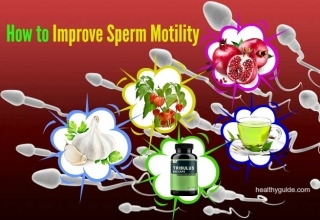 Other antioxidants such as lycopene, carotenoids, glucosamine, etc. Some of the healthiest foods that provide your eyes with key nutrients are carrots, cruciferous vegetables, leafy greens, citrus fruits, sweet potatoes, eggs, green beans, berries, papaya, guava, mango, melon, wiki, corn, peas, red bell peppers, wild-caught seafood, bone broth, grass-fed meat, and pasture-raised poultry. This is another great way on how to reduce eye strain when using computer that I want to reveal in this article. In order to reduce the risk of eye strain due to constantly focusing on the screen, you should follow the “20-20-20 rule”. You look away from the computer every 20 minutes and gaze at an object that is 20 feet away for about 20 seconds. Actually, looking far away can help relax the focusing eye muscles to reduce fatigue. Besides, another exercise for you is to look at an object that is far away for about 10-15 seconds, then look at a close object for about 10-15 seconds, and then gaze back at the distant object. Repeat this process 10 times. In fact, both of these exercises can help to reduce the risks of eye strain. Also, try to blink regularly during these exercises. Use a desk lamp that does not shine onto your computer screen or into your eyes. Have a proper posture when using computer. Adjust your chair to get a correct height. Have ergonomic furniture that can help you keep your computer screen about 20- 24 inches from your eyes. Also, the screen should be 10- 15 degrees below your eyes. According to a research about diagnosis and treatment of eye strain , eye strain is often due to excessively bright light. So, when you use a computer or a digital device, your lighting should be just half as bright as that found in the most of the offices. You can reduce exterior lighting by closing shades and drapes and reduce interior lighting by utilizing fewer fluorescent tubes or light bulbs. If desired, place your computer monitor on the side of the window. Besides, many computer users can reduce their eye strain when they do not work under overhead fluorescent lights.So, you should avoid using overhead fluorescent lights, instead, use floor lamps to provide indirect lighting. When you are looking for a great way on how to reduce eye strain when using digital devices, you should try to increase the light when reading. Keep in mind that you should try to focus when reading or watching TV in low-light situations can add stress to your eyes. Therefore, when you work and read something, remember to increase the amount of light. Instead of spending too much time on reading something on your computer or digital devices, you should try listening through videos or audiobooks to give your eyes a break. Every day, we often spend 8-9 hours at work reading documents on computer or papers. And then , we come home and have more computer use, watching TV or tablet reading once at home. And this is very bad for your eyes. In order to minimize the need for focusing, try listening to books on tape and listening to video or music on TV. Try to relax your eyes by closing them more often. Actually, this is another way on how to reduce eye strain when using digital devices that you should not look down, yet try to apply for good. If possible, replace the old tube-style monitor with a LCD screen that is easier on the eyes and often has an anti-reflective surface. Actually, old-fashioned screens can cause a “flicker” of images, contributing to a computer eye strain during computer work. When buyinga new flat panel display, you should opt for a screen that has the highest resolution and the dot pitch of 28 mm or even smaller.Finally, you should opt for a large display. For a computer screen, choose a display with a screen size of 19 inches or larger. 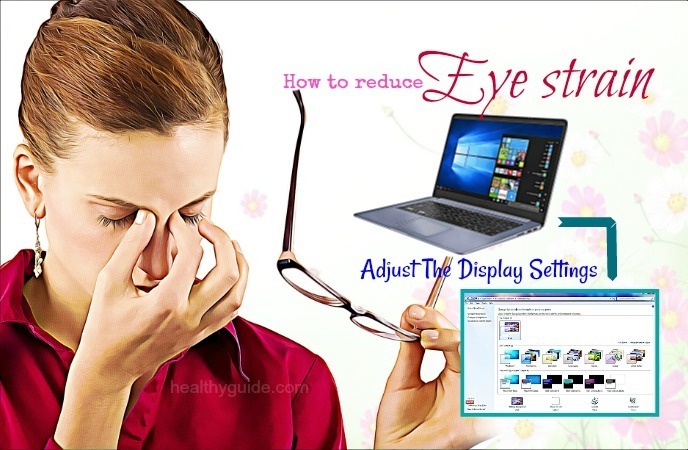 In fact, upgrading the display is known as one of the best ways on how to reduce eye strain when using computer that you should not skip out. Blinking is very important if you want to reduce eye strain when using computer and other digital devices. According to a study , blinking can moisten your eyes in order to prevent irritation and dryness. And when you work at a computer, you may blink less frequently than you normally do. Tears evaporate more rapidly during non-blinking phases, hence causing dry eyes. Addition to this, the air in many working environments is dry, which may increase the speedof your tear evaporation, increasing your risks of getting eye problems.If you experience signs and symptoms of dry eyes, consider using artificial tears during the day.To reduce eye strain during computer use, you can try this simple exercise. Every 20 minutes, you blink 10 times by slowly closing your eyes to rewet your eyes. As a lot of UV light from the sun or blue light from digital devices fall on the eyes, your eye strain and other eye problems can become worse. Therefore, to reduce eye strain, you should wear a hat or sunglasses while being in the sun, especially when the sunlight is strong. Also, try not to directly gaze at the sun. Closing your eyes and then rolling them in circular motions could help to lubricate your eyes and relax straining muscles. Roll your eyes clockwise, then counter-clockwise for several seconds. After that, take a short break. Repeat this technique 4-5 times, every few hours. This eye exercise can help to prevent eye strain and give you a better eyesight. There are other great ways on how to reduce eye strain when using digital devices and computer in this article. So, you should keep reading this article and then try to apply one or more of these techniques for good. To reduce eye strain when using computer, you need to take breaks frequently during your computer work. Nowadays, many people just take two 15-minute breaks throughout their work day. According to a study, eye strain and dry eyes were reduced when computer users took four additional 5-minute breaks throughout their work day. Do not worry about the reduction in the workers’ productivity due to these additional breaks. The fact is that data entry speed was faster thanks to these extra breaks, so their work output will be maintained. During your breaks, get out of your chair, and stretch your arms, back, neck, legs and shoulders to reduce muscle fatigue. To get the greatest comfort when using computer, you can consider a customized computer glasses. Especially, it is a great solution if you often wear contact lenses. Also, computer glasses are a great choice if you wear progressive lenses as these lenses are not proper for the distance between your eyes and your computer screen. Plus, you can consider wearing photochromic lenses for computer eyewear if you want to reduce the exposure to harmful blue light emitted by computer and digital devices. 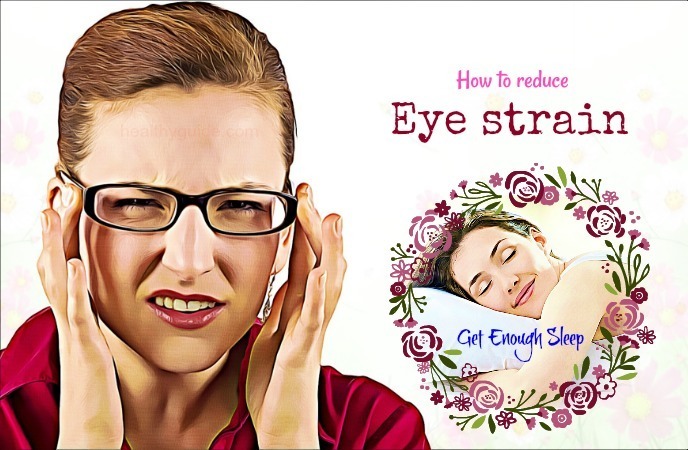 Actually, this is another great way on how to reduce eye strain when using eye strain that you should try if you want to get rid of your tired and strained eyes. Rub your palms together until it creates some heat. If required, re-warm your palms and repeat this process a few times. Repeat this process regularly throughout the day. Note: Do not jab your eyes too hard to avoid damaging them. When it comes to simple ways on how to reduce eye strain when using digital devices, you should remember to clean your screen. Actually, cleaning your screen helps to remove electrostatic particles emitted from the screen of your computer and other digital devices. If not removed, these particles could push dust toward the eyes, leading to eye irritation and strain. Therefore, cleaning your screen is very important for reducing eye strain. Use a cloth sprayed with an anti-static solution to clean your screen on a daily basis. To reduce eye strain, you can consider massaging your eyelids on a daily basis. This method can help to increase blood circulation to your eyes and simultaneously relax the muscles inside your eyes. Also, it will help to stimulate the tear glands, hence preventing dry eyes. At first, gently massage your eyelids as well as muscles above your eyebrows with your fingers for 10- 20 seconds. Gently massage the lower eyelids against your lower bone with your fingers for 10- 20 seconds. Then, massage your temple as well as upper cheek bones. Repeat this process once or twice daily. Note: Use an eye cream or several drops of olive oil to get a smoother massage. Doing regular eye exercises can help to reduce eye strain. These exercises can help to improve blood circulation to the eyes, relax eye muscles and simultaneously improve concentration and focus. At first, hold a pencil or pen at an arm’s length and focus your eyes on it. Slowly bring the pen closer to your eyes, and then move it farther from your vision. Repeat this process 10-15 times. Sunning is known as a great way on how to reduce eye strain naturally. Actually, vitamin D taking from the sun is very good for your eyes and your overall health. To avoid tanning, you should do this technique between 8a.m and 10a.m. In the early morning, stand in a sunny place. Slowly move the eyes up and down, and then right to left. Repeat this technique for about 5 minutes. Reapply this technique once a day. Note: During applying this technique, avoid wearing contact lens or glasses. The muscles around your eyes can be tired and dry when you are sleep deprived and exhausted. According to a study about home remedies for puffy eyes , in order to prevent dry and puffy eyes effectively, you need to get enough sleep each night. Experts recommend that adults need 7-9 hours of night sleep. Some natural sleep aids that can help you improve your night sleep include essential oils, changing your sleep position and reducing the temperature in your bedroom. If you sleep in an environment that lacks moisture, try using a humidifier in order to keep your eyes moist. A warm compress is a great way on how to reduce eye strain when using digital devices that you should try out. It will help to relax muscles around the eyes, soothe dry eyes and relieve tired eyes. Also, it is effective in relieving the eye swelling. At first, soak a soft washcloth in some warm water and then take out the excess water. Lie down in bed, close your eyes and then place this washcloth over the eyelids. Relax your eyes for 1 minute. 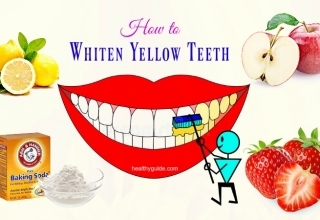 Follow this home remedy once or twice daily. Using cold water can help relieve mild eye strain by improving blood circulation, relaxing muscles around your eyes, and simultaneously reducing eye puffiness. Close your eyes when you have tired eyes and then splash some cold water on the facial skin. Alternatively, soak a washcloth in some cold water and then take out the extra water. Place this washcloth on the closed eyelids for about 1 minute. Use a cold compress if you have strained eyes along with puffiness. Cover a few ice cubes with a clean cloth and then place it on the closed eyelids. Leave it on for 5-10 minutes to notice an improvement with your puffiness. Rose water can be used as a natural relaxer for tired eyes thanks to its soothing effect. Plus, rose water can help to rejuvenate the skin areas around your eyes and also fade dark circles as well as eye puffiness. At first, wash your eyes withsome cold water and then pat it dry using a clean towel. Another great way on how to reduce eye strain when using digital devices is to use chamomile tea bags. According to a study about natural herbs and spices for dry eye symptoms , the cooling and soothing effects of chamomile can help to relieve the tired muscles around your eyes quickly. It can also be effective in reducing eye swelling. Steep 2 bags of chamomile tea in a cup of boiling water for about 5 minutes. Remove these tea bags, and store one on the kitchen counter and the other in the fridge. Then, place the chamomile tea bag from your kitchen counter over your closed eyes and leave it on for 5 minutes. Do this if you want a warm treatment. Or, place the cool tea bag over your closed eyelids if you want a cool treatment. Repeat this treatment whenever your eyes are strained and tired. Also, drink 2- 3 cups of warm chamomile tea to reduce your headache that is associated with your eye strain. Whole milk is also a great home remedy on how to reduce eye strain when using computer for computer users. The fats found in whole milk have soothing and relaxing effects, so it can help reduce tired eyes, eye irritation and puffiness. Soak a cotton ball in some cold whole milk. Gently apply it to the skin around your eyes as well as your closed eyelids for several minutes. Repeat this treatment once a day or as needed. Do you want to know other ways on how to reduce eye strain that you can apply at home? Continue to read this interesting article and then apply one or more of these tips for good. 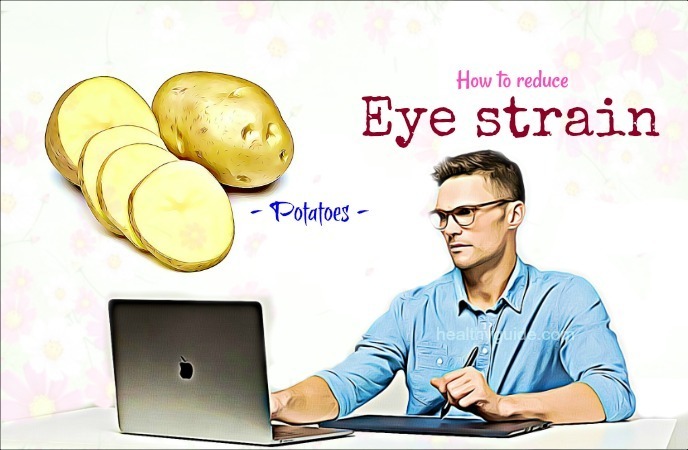 When you are looking for great ways on how to reduce eye strain, you should consider using potatoes. This treatment might sound funny, but it can help you relieve itchy and irritated eyes thanks to its disinfectant properties and vitamin C. Simply, store some potato slices in the fridge for half an hour. Then, place these potato slices on the closed eyes for 20 minutes to help relieve your tired and strained eyes. Cucumber slices can help you get rid of strained and tired muscles around your eyes quickly thanks to its astringent properties. Also, it can help to reduce eye puffiness as well as dark circles. Actually, this is a beauty advice that you should consider applying for good. Place a medium cucumber in the fridge for about 20- 30 minutes. Then, cut it into some thick slices before placing them on your stained eyes. Repeat this remedy once or twice a day. Using honey is one of the most effective ways on how to reduce eye strain when using digital devices. You just need to put one drop of honey in each eye and then relax your eyes for 2- 3 minutes. Finally, rinse it off and enjoy relaxed eyes. This treatment will relieve eye strain, prevent eye dryness, and also clear dust and debris. Similarly, you can use castor oil for reducing eye strain. This treatment can help to relax your strained eyes after using computer and digital devices. And, it also works as a great cleanser to remove debris and other infection- causing agents. Add 10 drops of lemon juice to a bowl of water and then stir to mix it well. Open and close the eyes several times. Then, allow it to cool down before straining the mixture and discarding the seeds. 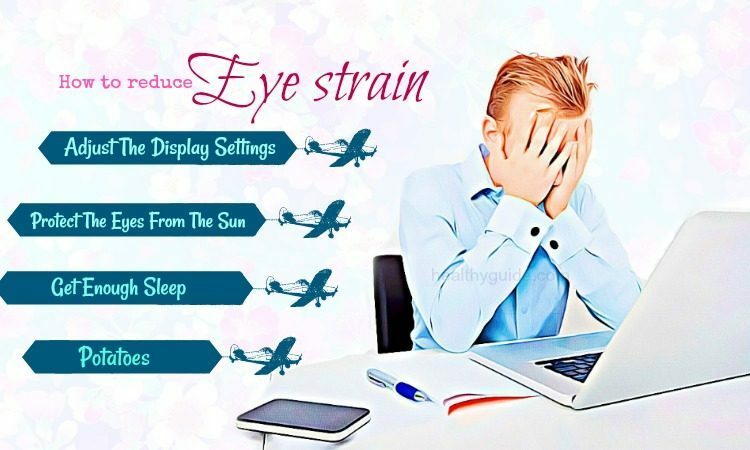 Follow this remedy regularly to reduce your eye strain. To reduce eye strain, you just need to mix cumin and licorice in equal amounts to get a powder. Then, store this powder in a bowl and consume 1/2 tsp. of this powder combined with 1 tsp. of honey. Repeat this treatment daily for at least a month. 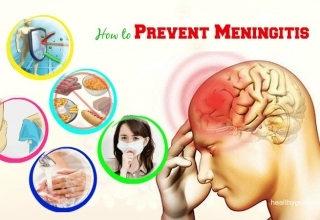 This home remedy can help you get rid of the pain along with eye strain. Add 10g of turmeric powder to a bowl of clean water and then bring it to a boil. When it cools down, soak a clean cloth in the water. Then, allow a few drops of water to fall in your eyes. Wash your eyes with the clean water when it is cool and then use a soft towel to pat them dry. This is the last way on how to reduce eye strain when using digital devices that I want to mention in this article and want you and my other readers to apply for good. Lavender oil  offers gentle relief from tired and strained eyes. Add a drop of lavender oil to 2 and half cups of water. Shake it well until you get a uniform solution. After that, soak 2 cotton pads in this solution, take out the excess water before placing these cotton pads over each of your eyes. After reading this article about 34 best ways on how to reduce eye strain when using computer and digital devices, we hope that you can find the best solutions for your tired and strained eyes. 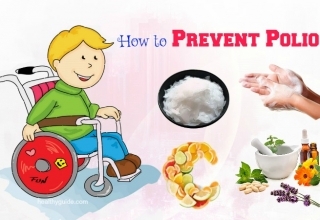 All of these tips as I mentioned above have been reported to help many people relieve their strained eyes effectively and quickly. 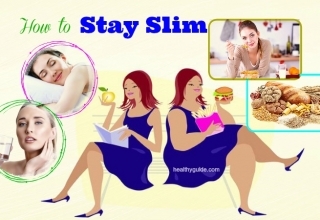 So, you and my other readers of Healthy Guide should not look down these tips, but consider applying one or more of these tips as soon as possible. Also, if you know other great ways on how to reduce eye strain when using digital devices, share them with us by leaving your comments below.